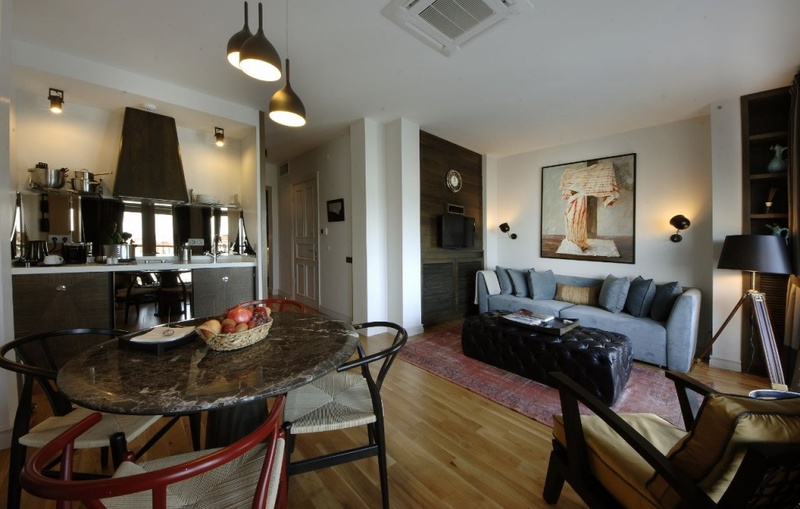 Urban Suites Istanbul offers an authentic Istanbul experience along with the urban temptations of the Cihangir district,famous for its gourmet tastes and entertaining night life. 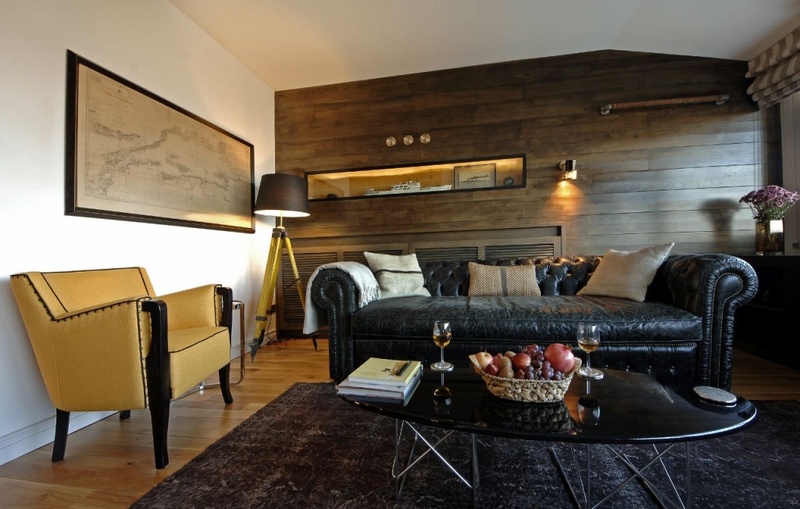 7 of our open-plan luxury suites feel more like loft apartments than standard hotel rooms. All suites are minimum 40 square meters and designed in an art deco-modern style for your ultimate pleasure.Every conceivable comfort has been considered. High fixed-end accessories and marble bathroom, hardwood floors, queen-size bed, a living room setting with a huge sofa and in-room kitchenettes equipped with espresso machines create a luxury loft vibe. You can enjoy a unique panaromic view of the Bosphorus whether in your room or on the terrace along with wine and friends. 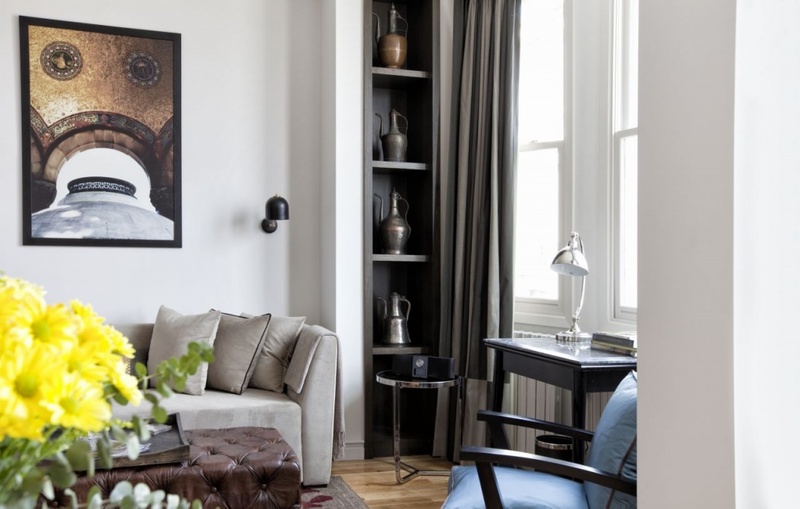 On the ground floor, this suite is designed in contemporary style. It has an electric teakettle with complimentary tea and coffee set up, minibar, espresso machine, iron, ironing board and a luxurious bathroom. This small room is on the basement floor. 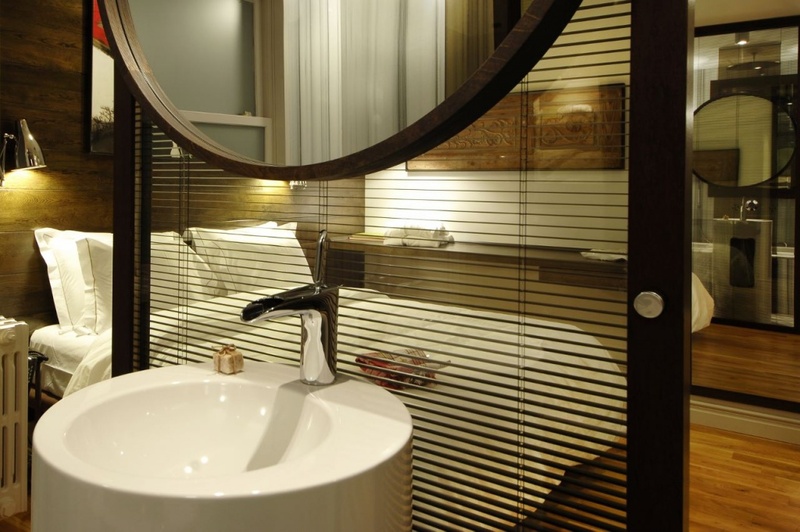 It is designed with all the basic accessories with a double bed, and a luxurious bathroom along with a minibar. There is no capacity for extra beds or cribs in this room. There is no window, therefore there is no sea or city view. On the 1st or 2nd floor, this spacious suite is designed in contemporary style. It has a bedroom, living room and a private kitchen. It has an electric teakettle with complimentary tea and coffee set up, espresso machine, iron, ironing board, cleaning products and a luxurious bathroom. This suite also has city and partial sea views. 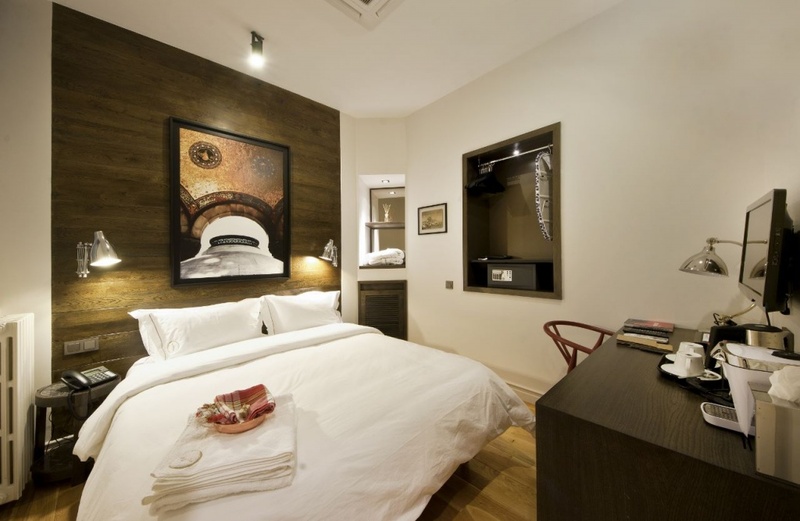 This spacious suite has a private balcony with views of Bosphorus and authentic Cihangir neighborhood. 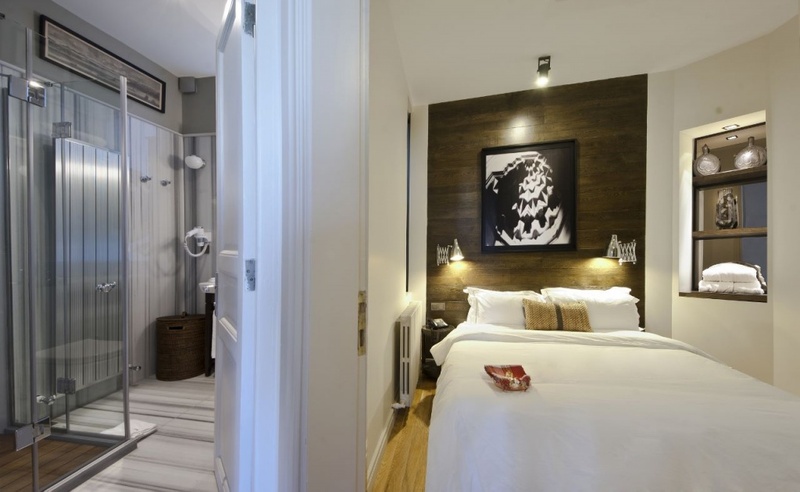 Decorated in contemporary style, this suite has a bedroom, a living room and a private kitchen. It has an electric teakettle with complimentary tea and coffee set up, espresso machine, iron, ironing board, cleaning products and a luxurious bathroom with towels and a metal bowl for private hammam experience. Decorated in a contemporary style, this spacious suite has a bedroom, a living room and a private kitchen. 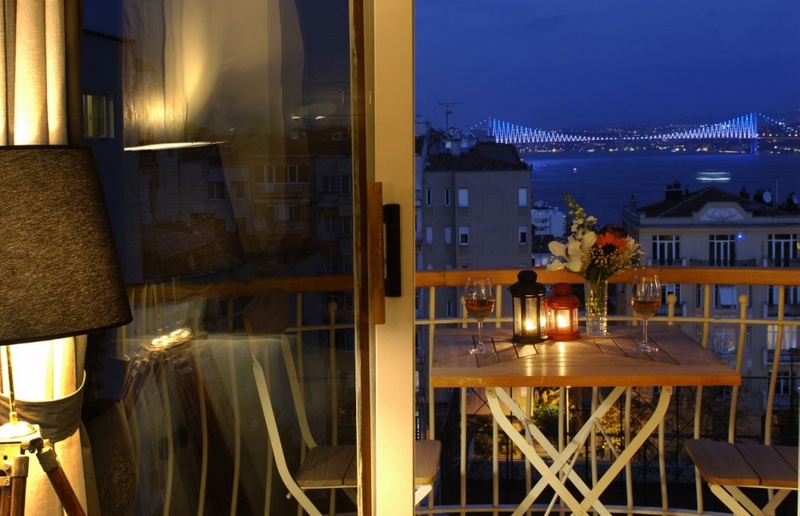 It offers panoramic views of the Bosporus from its living room. 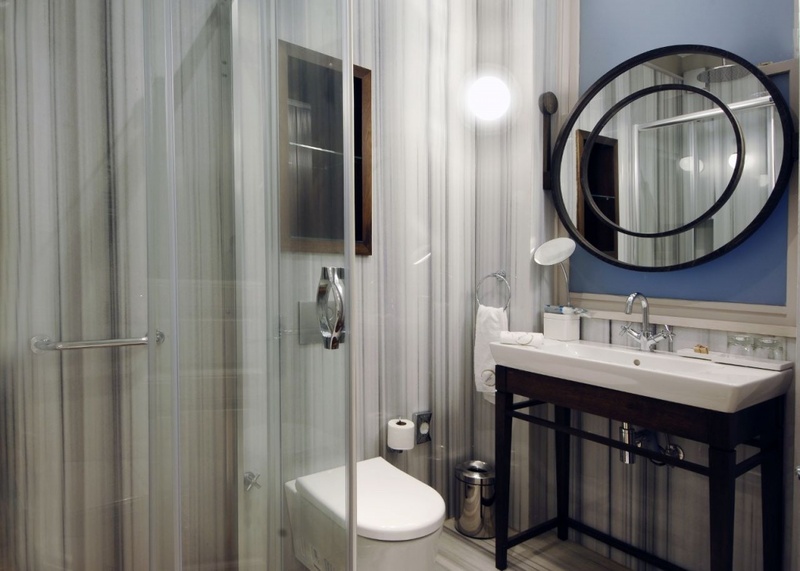 It has an electric teakettle with complimentary tea and coffee, espresso machine, ironing facilities, cleaning products, a luxurious marble bathroom with a bathtub, and towels and a metal bowl to give you the feeling of a hammam.